12oz bottle, ~ $7.00 6 Pack, ~ $27.00 Case. A little deviation from the Bier Cabinet Spring Cleaning. I just stopped for something to have for dinner and thought I would write a review while waiting. I have had this once before at a party and thought is was pretty good. So before I even get started I must thank my good friend Gonzalo for introducing this beer to me. I’m looking forward to doing a full review. 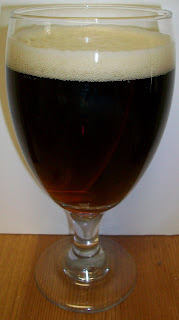 The beer pours a very dark amber with ruby and orange hues with a fairly rich off white head. Nice sweet toasted malts on the nose. There is also a slight hop aroma as well. We are starting this review at 55 degrees. I guess it warmed a little on my way home. The taste is very flavorful and refreshing at the same time. This is very nice indeed. It starts out with rich toasted malt sweetness on the tip of the tongue then a very nice effervescence over the tongue in mid-sip. The back-end goes down smooth making this is very easy to drink. There is a nice malty sweetness during the swallow. The finish is fairly dry with just the correct amount of hops to dry but not to leave a bitter aftertaste. The final aftertaste is very pleasant with toasted malts almost coating your mouth similar to stout but without the malt bitterness. As rich as the beer is, it is also very refreshing. The end of the first sip leaves you craving another and then again another. And since this is such an easy drinking beer it is effortless to comply. We are now at 66 degrees. This beer is warming well; it is not as refreshing but still very good with nothing unpleasant whatsoever. Since I bought a six pack I think I’ll have another while I work on my final thoughts. Ahhh, this second one is even better then the first. I guess that is mostly due to the fact that I’m just enjoying it not analyzing it. This is one very nice Dunkel. I am enjoying this as much as any authentic German Dunkel that I have had. I’m going to wrap this up with a B for the German Dunkel from Mexico. This is a very pleasant easy drinking dark lager. I have really enjoyed this and highly recommend it to any Dunkel or Schwarzbier lover. 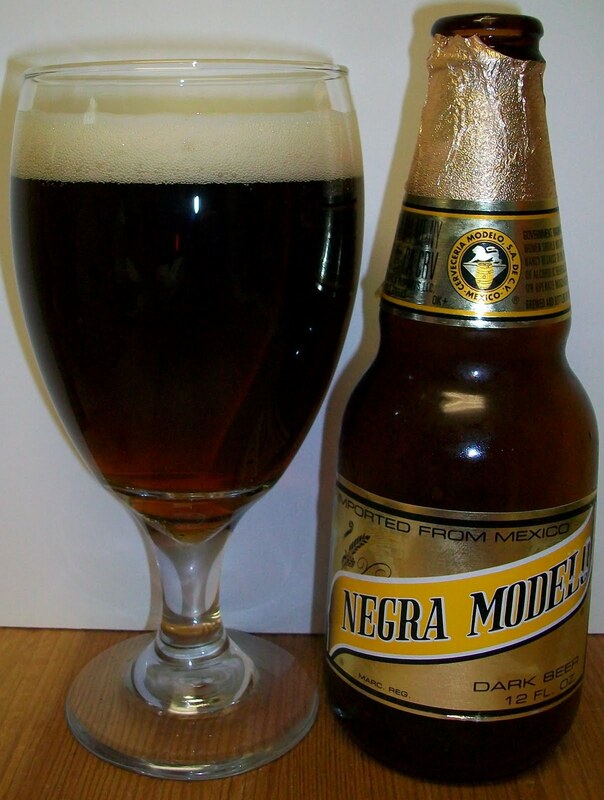 For that matter this would be a great introductory beer to the Dark Lagers. So if you like a Lager this is just a smoother with rich malts version, so give it a whirl. I was looking over my beer pictures and realized that I took new pictures of this beer in the authentic glass. I updated the pictures above. These are the originals. 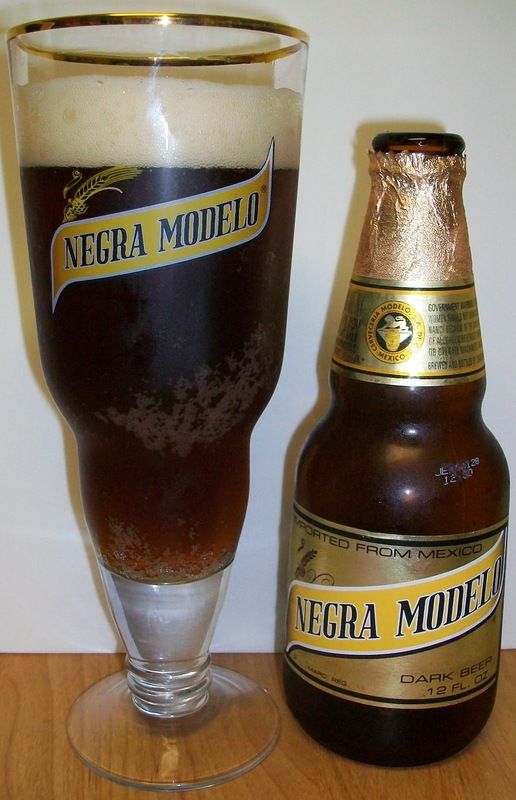 A good Mexican beer from a good Mexican Friend.